When we were asked to become a partner in the upgrading of Gibraltar’s International Airport, and future proof it for growing passenger numbers, we knew it was going to be an exciting project. We were delighted to be asked by the Defence Infastructure Organisation to join them in the design and delivery of the £7 million upgrade to Gibraltar’s 6,000 ft runway. Working in collaboration with Lagan Construction International, we delivered a disruption-free upgrade that didn’t interrupt the economic and military activities of the airport, as well as enabling Gibraltar to welcome the expansion of it’s tourism and commercial interests for the foreseeable future. Working in collaboration with Lagan Construction International we were facing an unusual and complex situation. Including a mix of political and military interests as well as the commercial reality of keeping this fast growing airport functional during these important upgrades. 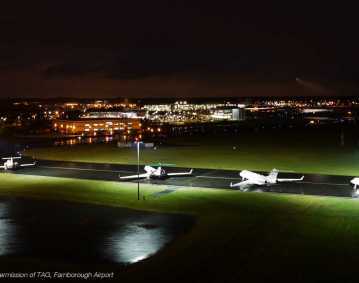 Upgrading an airport to commercial and military specifications that will see it through the next twenty years is always a great challenge and when a third of the runway extends out into the sea – well that when you need real specialist knowledge. The airport has been subject to multiple redesigns since the 1950s. This long history of activity and change meant careful surveying of existing infrastructures was vital. 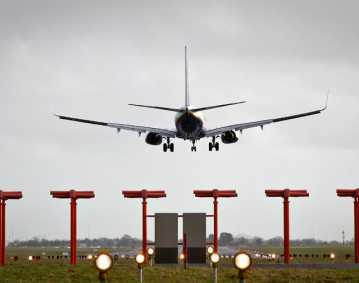 Especially as our client, the Defence Infrastructure Organisation required no disruption to airport operations, or to the economic and military activities of the airport. By applying the detailed information we gathered, we were able to design intelligently to make best use of existing assets, and to avoid disturbing other elements of the infrastructure. 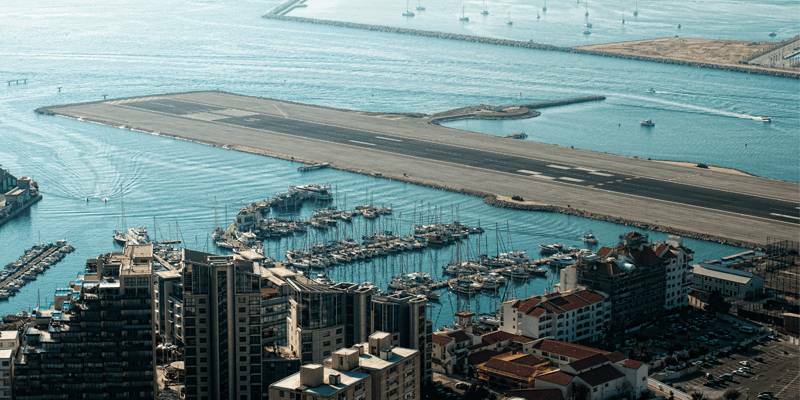 With almost a third of Gibraltar’s runway jutting out into the sea, there are unique environmental challenges. Not least is the relentless erosion of salt carried in the seawater and on the wind. 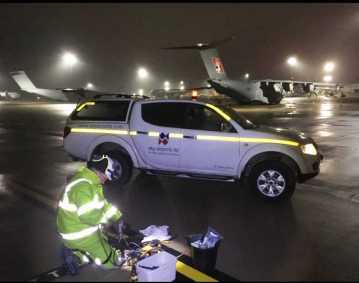 Collaborating with fellow contractor, Lagan Construction International, we delivered a full upgrade of the runway’s airfield lighting, which formed part of a wider programme to upgrade the current runway surface and met the 20 year design life requirements of the Military Aviation Authority. Following our survey of the existing infrastructure, we produced detailed design and implementation strategy in collaboration with Airport programme directors. Then our team removed all of the existing AGL Lights, AGL Cable and substation equipment without damaging or disturbing other assets. Replacing them with the newly specified products. 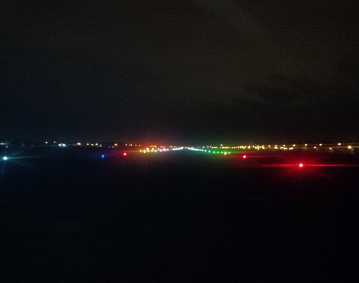 We also deployed temporary airfield lighting to assist Lagan Construction International’s resurfacing works included the slurry sealing of 200,000m2 of the runway strip, as well as the installation of a new pit and duct system across three runway crossings.